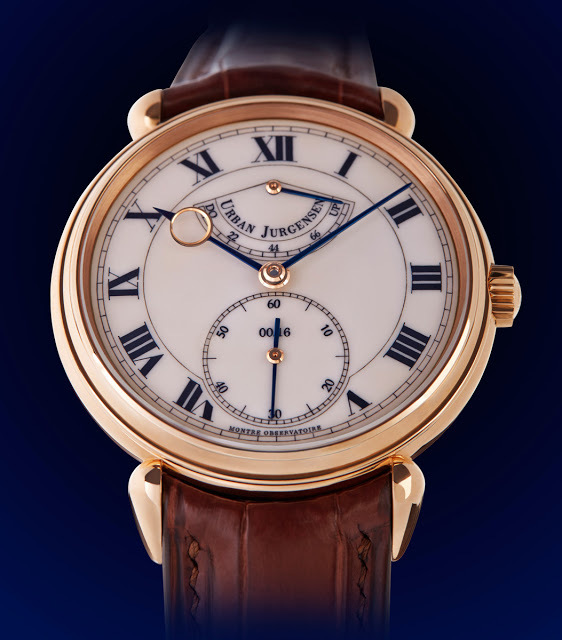 Urban Jürgensen & Sønner have announced an enamel dial limited edition of the P8 chronometer with detent escapement, the Montre observatoire émail. 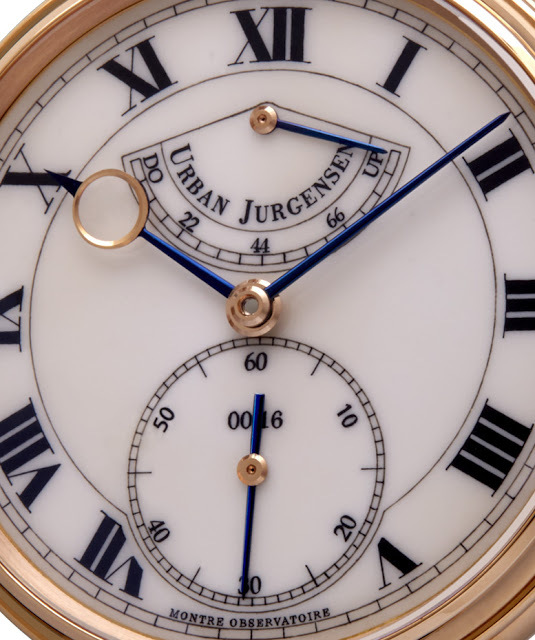 Urban Jürgensen & Sønner (UJS), a Danish watchmaking name now made in Switzerland, last year unveiled its timepiece with an first in-house calibre, the P8 chronometer. 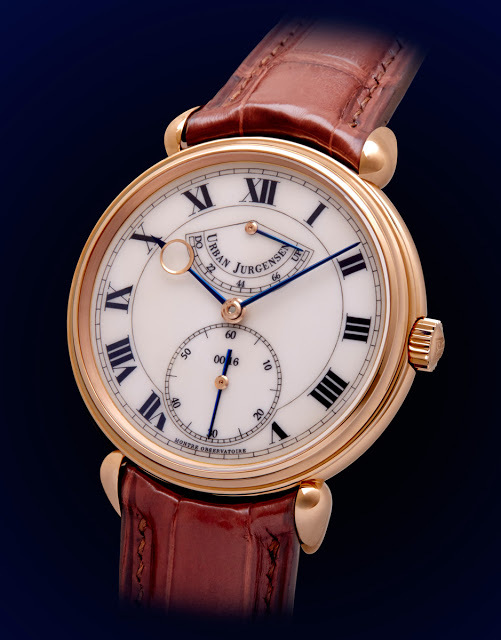 Originally available with a guilloche dial which was the UJS trademark, the P8 is now also offered with a beautiful white grand feu enamel dial as the Montre observatoire émail. 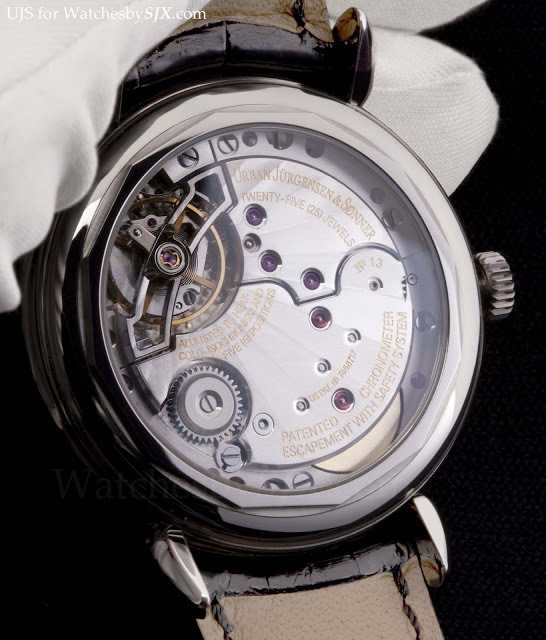 At just 0.5 mm high, the dial is extremely fine and almost half the thickness of a typical enamel dial. The 15 layers of enamel are applied by hand, on a 22k gold base. All the text, numerals and railway tracks are hand painted. 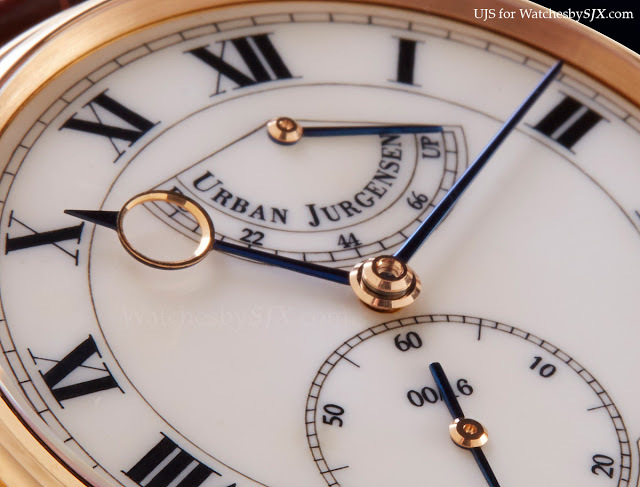 Besides the dials, UJS watches also have beautifully shaped hands, which go perfectly with the enamel dial. Equipped with the rare detent escapement, the manual wind UJS-08 movement used in the P8 was conceived by Kari Voutilainen and Jean-Francois Mojon. The movement used in this limited edition P8 is also observatory certified, with each watch having its own bulletin d’observatoire. The P8 Montre observatoire émail is available in rose gold or platinum, with a 42 mm case. 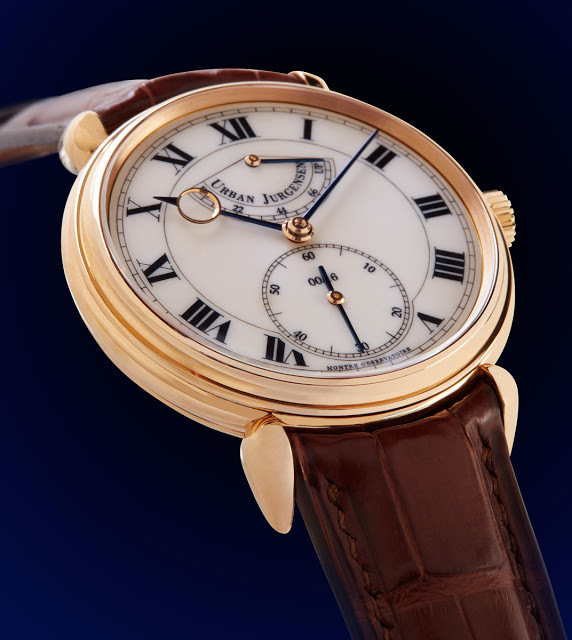 No price has been released yet, but the regular guilloche dial P8 chronometer retails for about US$75,000 in platinum, so expect this to cost more. UJS has not quite gained the recognition it should, one reason being the passing of its founder, Peter Baumberger, in 2010. Now owned by Dr. Helmut Crott, who used to own the auction house which bears his name, UJS will hopefully do better with time.